What is best Anti-virus, spyware, malware? 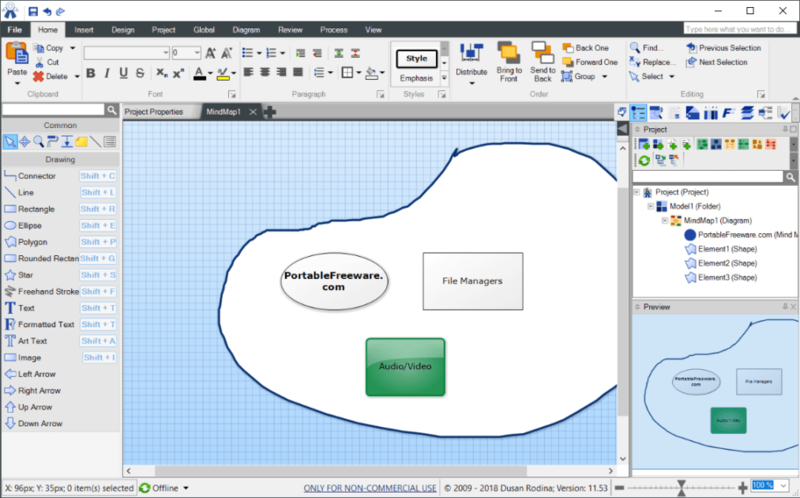 Software Ideas Modeler intended as an intuitive, quick diagram creator useful for a variety of applications. The program can create a wide variety of diagrams such as flowcharts, CRC cards, hierarchical task analysis, entity life history and mind maps. Printing available in batch and with multiple pages per diagram. Note that this edition of the program has limited functionality, with additional, for-pay premium features available. Writes settings to: Application folder (settings.settings file and creates a Profile directory. From the prompt, select "Standard Non-commercial"
Click the option for "Personal - Non-Commerical use," check the box, and click Confirm. Optionally, disable the Buy button by selecting Options and uncheck "Show Start Page" from the General tab. @BGM: The standard edition isn't free if you're a commercial entity, hence the price tag.